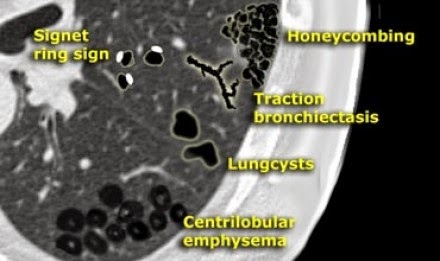 Chest Medicine Made Easy-Dr Deepu: BASICS OF HRCT PART 5- LOW ATTENUATION PATTERN. 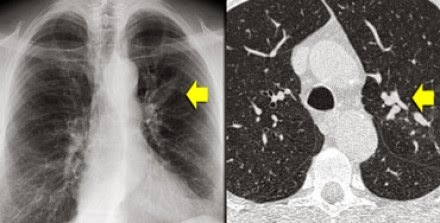 BASICS OF HRCT PART 5- LOW ATTENUATION PATTERN. 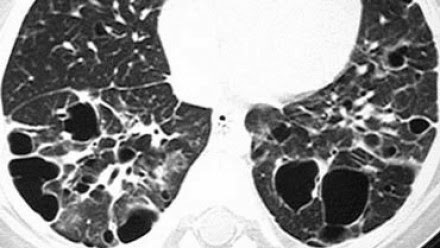 Here is a typical case of panlobular emphysema. 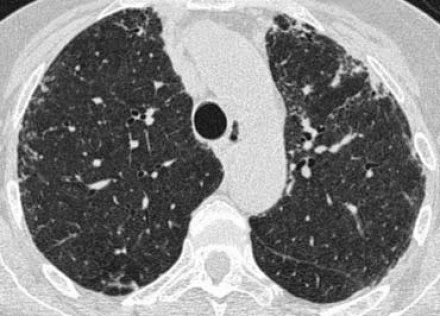 On the other hand, mild and even moderately severe panlobular emphysema can be very subtle and difficult to detect on HRCT. 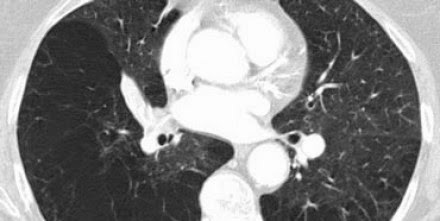 A case with multiple round and bizarre shaped cysts. 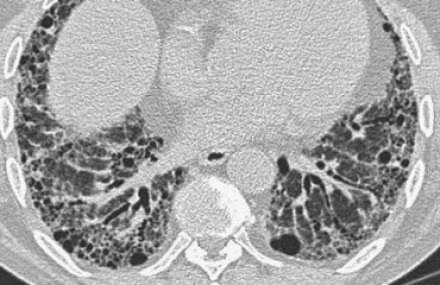 Above a case with multiple cysts that are evenly distributed througout the lung ( in contrast to LCH). Here we see a chest film with a typical finger-in-glove shadow. 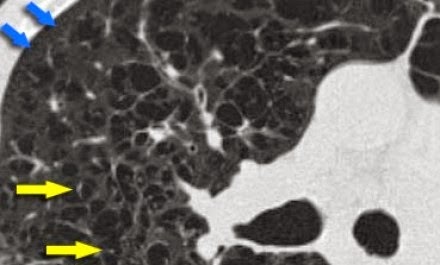 The case above shows subpleural honeycomb cysts in several contiguous layers. Yet another case of UIP. 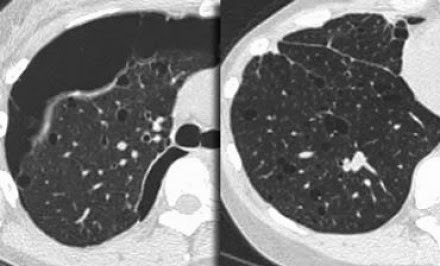 Please the other posts on HRCT Thorax. To read click on the topics given below.